Timeshare resale companies working closely with resorts offer the consumer full confidence in the product. They also bolster the credibility of such companies. With many recommendations and referrals from developers and resorts, Travel and Leisure Group are an example of the above. This reflects added confidence, not only for the seller but also for the buyer. Travel and Leisure Group have many such links with various resorts, both in the UK and abroad. We feel that this is a great advantage to the consumer and to the timeshare industry as a whole. If you are a timeshare owner looking to sell, it’s good to know that you have options. It’s even better when your resort or management company can refer you to a trusted timeshare reseller. 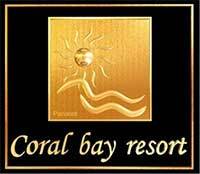 Here are some of the companies and resorts who refer clients to us when they are looking to sell. We are a preferred partner of Club La Costa World Resorts & Hotels! For over three decades, Club La Costa has been offering dynamic and diverse timeshare products. Their portfolio began with a mere ten apartments on the Costa Del Sol and has since grown exponentially. The sheer volume of Club La Costa members is testament to the company’s continuing commitment to excellence. It now offers alternative ownership options such as timeshare points and even fractional ownership! Furthermore, Club La Costa’s Destinations Club even offers cruises to the discerning holidaymaker. When buying or selling a timeshare, you are making a commitment. It may be forever, it may be for a set number of years. Either way, you want to be sure that you are receiving the Diamond standard. Therefore Diamond Resorts International would be a logical choice! Perhaps you’re an already satisfied member now looking to sell on your points or weeks. No matter the circumstances, Diamond Resorts International know that Travel & Leisure Group can assist. Their points and weeks are amongst our best-selling products. Furthermore, we are an authorised reseller of Diamond Resorts Points (European Collection). Recommendations such as these don’t come along every day, but when they do, you know you’re in safe hands. Recommendations from established developers are invaluable to timeshare resellers. Heritage Resorts is no different at all. Their resorts epitomise refinement and their portfolio is both unique and diverse. Heritage Resorts’ members are genuinely taken care of, and always manage to find their ideal yearly getaway. Their exclusive members’ club offers lots of benefits: discounts on car hire, restaurants and golf, along with bonus weeks to name but a few. Heritage Resorts’ four main properties are on the sunny Costa Del Sol, but their portfolio expands across the globe to Austria, India, Indonesia, Thailand, China, and Hong Kong. Recommendations from resorts themselves are just as important as those from developers. Independent resorts have even closer relationships with their owners, and this can lend even more credence to any recommendation that is made. In gorgeous Qawra, Malta, you will find the charm and value of Costa San Antonio. This picturesque all-inclusive resort features nearly 300 rooms which vary in size to accommodate parties big and small. Spend your days by the outdoor infinity pool. Eat at the numerous on-site restaurants featuring local produce and gourmet chefs. The state-of-the-art fitness centre will also make sure you don’t miss out on your usual workout routine. There’s also plenty of shopping nearby! Another of our recommendations arrives from the Maltese paradise of Fortina Spa. This seventh heaven half board resort is near Valletta, and the breathtaking views from your luxury apartment will blow you away. Take the half-hourly ferry over to Valletta itself and immerse yourself in culture and history. Eight restaurants on site offer world cuisines ranging from Japanese to Italian, so you’ll never be short of choices. The resort focuses on being a positive, relaxing, and healthy environment for guests and owners alike. It features not only three full spas, but in-room spa facilities such as steam showers as well. There’s even a salon for some real pampering! The Mediterranean paradise of Cyprus is home to Panareti’s Royal Coral Bay resort. Your stylish apartment caters fully for everything you could need during your holiday. The nearby private beach provides a peaceful retreat, and you’ll find spectacular ocean views from the complex itself. Traditional yet modern design offers a warm and homely atmosphere. Take advantage of a wide range of dining options, from self-catering to all-inclusive and everything in between. Menus change nightly as chefs take advantage of local produce, and authentic Cypriot cuisine is available in addition to most general tastes. Furthermore, the resort hits all the right notes when it comes to facilities: a full spa and gym, indoor and outdoor pools, and children’s play area are all on offer.